It’s spring around here, and spring makes me want to eat Salad… Everyday. I love salad, but I get bored. 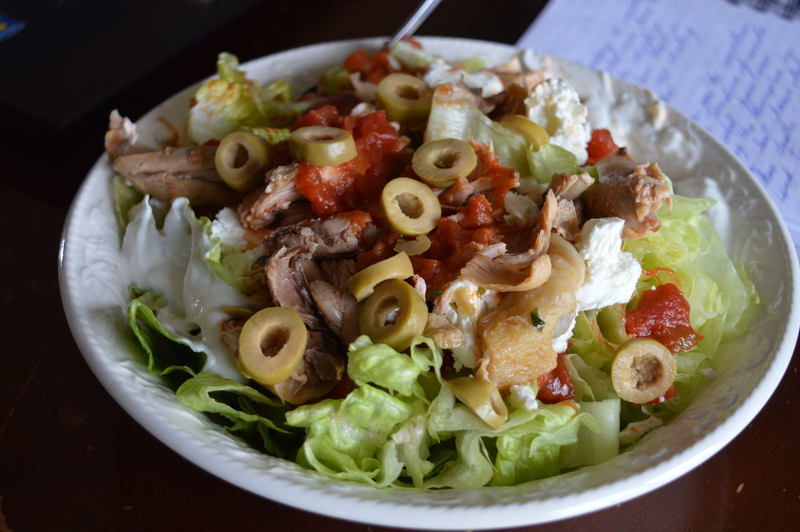 So I like to create new salads – here’s a simple one from last week. Heat up the chicken and the Hot Sauce. Layer on top of lettuce. Add sour cream or yogurt. Add salsa, add cheese and top with Olives. You could also throw in some nuts for extra protein. What are some of your favourite salads?